If you’ve been researching the health benefits of CBD for some time, or even if you just started, you probably recognize the great potential for healing and wellness. When it comes to the innumerable CBD products available on the market, however, where do you begin? 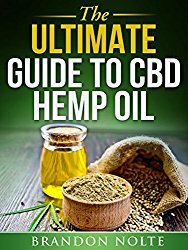 HHO provides a “buy cannabidiol guide” to help you through your first CBD purchase. You can organize your search for products by selecting from capsules, gum, tinctures, topicals, oils and vaporizers. HHO has the best selection of products and quality, but take a look at each of the categories to choose which product might be best for you. Keep in mind, your health is not just about the products you consume but also your goals and your lifestyle. Your everyday use and dosage depends on you and the condition you’re treating. Vaporizers are probably the most fast-acting product for your CBD intake. With oral ingestion – with capsules, for example – CBD has to travel through the digestive system before being infused into the bloodstream. (Check out this video for a visual example of how cannabidiol travels through your system.) When CBD enters your lungs from a vaporizer, however, it diffuses quickly into your circulatory system. In this way, vaporizers help with rapid relief, and they are completely safe since it is vapor filling your lungs and not smoke. They may not be as efficient as capsules or gum, but they are stylish. Also, they can be recharged via USB, so there’s no inconvenient battery changing. HHO’s G1 Vaporizer kit contains everything you need for vaping and comes in a sleek kit that could fit in your pocket. Vaporizers may not be for you if you’re worried about people confusing you for a smoker a lot of the time. Their effectiveness, however, might just be worth it. If you sometimes feel stiffness or muscle soreness or suffer from inflammation, topical CBD products will be the way to go. 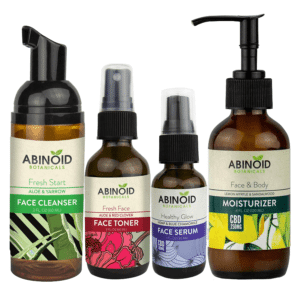 These absorb through the skin, so they may be slower to act than other products, but with topical products, you are effectively targeting the affected area. Dixie Botanical’s Hemp Oil Salvation Balm is actually one of the most effective balms in the market. It’s made with absolutely no chemicals and smells really great. With consistent use, you’ll notice maximum benefits. Capsules are convenient especially if you find yourself constantly on the go. They are a quick way of getting an increased dosage in an easy-to-take pill. Dixie Botanical’s CBD capsules, for example, are unflavored and contain a high concentration of CBD oil per pill. CBD gum might be more enjoyable for you if you’re not a fan of swallowing pills. Gum is also a bit less conspicuous than other CBD options, so you can be discreet about your supplement intake. Unlike the capsules, the gum is flavorful and can be much more enjoyable. Canchew gums are sugar free and all natural, and in comparison with capsules, their efficiency and effect are quite the same. It’s up to you whether you’d like a quick and tasteless experience (capsules) or would rather enjoy your CBD intake with a bit more flavor (gum)! In terms of effectiveness and customizability, tinctures are one of the best ways to go. If you’re just starting out with CBD, tinctures can help you slowly work your way to the dosage that is right for you. Using the eyedropper, intakes can be customized with precision. Although droppers are more portable and more practical than a balm or vaporizer, for example, they are not the most discreet of products. They also may not be cost effective if you require a high dosage. CBD tinctures are usually consumed by placing the drops beneath your tongue, so you may be happy to know that they come in a variety of flavors, including unflavored. 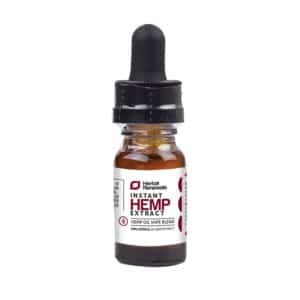 Tasty Hemp Oil CBD drops are an example of these tinctures and are made with only high-quality ingredients. 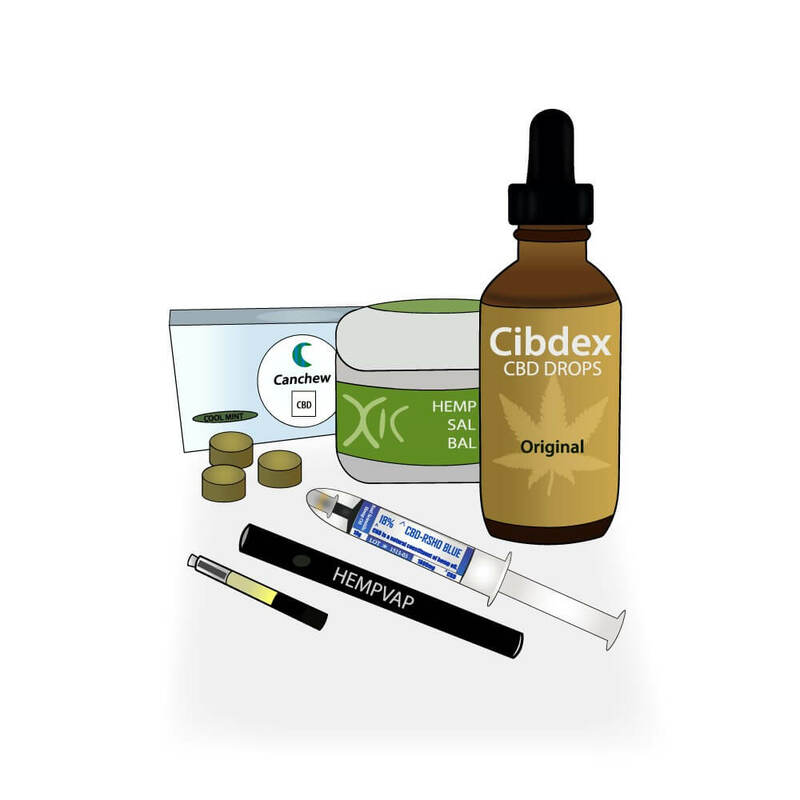 Another one of HHO’s better selling tinctures is Cibdex’s handy extra strength CBD spray. Take a look at HHO’s product review of the spray to see if it might be right for you. 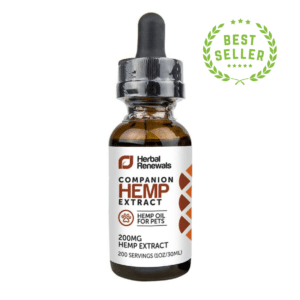 The oils are probably the most efficacious way of getting CBD – their CBD concentration is the most potent of all the available products, including tinctures. 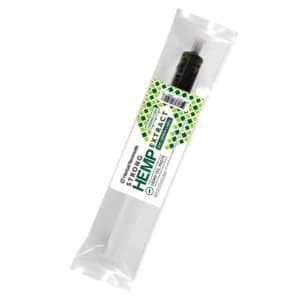 Herbal Renewal’s Blue Label High CBD Hemp Oil is the best not only in potency but purity as well. It has undergone some of the strictest tests for quality control and contains virtually no THC. If you don’t love the taste, you might want to mix the oil in your food to mask it. Like tinctures, CBD oils aren’t the most discreet of products, especially since the applicator looks a lot like a syringe! They can, however, be used in vaporizers. After finding the best products for yourself, achieving the right dosage is the next step. If you are a first-time user of CBD who suffers from a severe chronic ailment, the capsules or the gum may be great first choices for obtaining a concentrated intake. Using the pills or gum to find an exact dosage, however, would be inconvenient, since you’d be limited to the amount of CBD per capsule or gum. Increasing your intake by just one of either means doubling your CBD dosage. On the other side, tinctures are perfect for those looking for a subtle effect, but they aren’t the most cost-effective option for those needing a concentrated amount of CBD. The great thing about these products, then, is that you can combine them for customizing. Use the capsule or gum for your high dosage needs, and then add a CBD tincture to find that sweet spot. Tinctures are great in this way for adding that extra boost to your already established routine. It’s not as overwhelming as it may sound; experimenting is a normal part of the process when first taking CBD products. You shouldn’t worry about taking too much as long as you know what you need and listen to your body. Now that you have a general idea of what CBD products are available to you, start asking yourself some questions. Think about why you started your CBD research in the first place and what you are looking to relieve. Also consider what you can commit to. Are you willing to be diligent enough to maintain a consistent routine? We are all very conscious of our bad habits. Now, what good habits can you commit to in using your CBD products so that you can finally find relief? If you are willing to share, leave a comment below; we’d love to hear your thoughts.